Every day of Ramadan during the iftar (evening meal for breaking the daily fast) time Allah (swt) saves one million people from Hell who deserves it. Also on the last day of Ramadan, Allah (swt) saves as many people as the sum of all He saved during Ramadan. Fasting is the best remedy for body health, a physical and spiritual diet. When someone does not care about his food, he gives harm to his body and health. Fasting is the best remedy for body health, a physical and spiritual diet. When someone does not care about his food, he gives harm to his body and health. When he does not care whether the food he eats is halal (permissible) or not, he gives harm to his spiritual life; his nafs (self, soul) dominates him, he cannot hear or obey his heart and soul any more. When the nafs takes the reins, “he can not ride it any more, it rides him”. Man gets used to the diet and learns to obey the rules thanks to fasting in Ramadan. He does not fill his stomach without digesting the food in it and he does not become exposed to illnesses. By getting used to obeying the rules, he keeps himself away from the sins and follows the path of the religion and mind. Thus, he keeps his spiritual life clean. Stomach and other digestion organs need to rest. Thus, the body burns the excessive fat and becomes energetic. During that resting period, the heart can take the nutrition of dhikr (mentioning Allah) and prayers easily. Those human senses realize that they are not created only for that stomach factory and runs for their real tasks. In that holy month, heart and soul, mind and senses get mature and ascend to the highs by means of fasting. Though the stomach cries, they smile innocently. From this point of view, fasting gives man both the wealth of health and the wealth of afterworld. The most significant feature of man which distinguishes him from angels is that he has a soul. Man eats, drinks, marries, becomes sorry, angry and commits sins. Now, the blessed month of Ramadan has come. After now, Allah’s mercy surrounds you. Mercy goes down to the face of the earth abundantly in this month. Faults are forgiven, prayers are accepted. Allah watches your competition for goodness and worshipping then He takes pride in it by shoing it to His angels. The most significant feature of man which distinguishes him from angels is that he has a soul. Man eats, drinks, marries, becomes sorry, angry and commits sins. However, he quits eating and drinking for a period of time and limits his pleasures. He does not meet the needs of his soul, does not carry out what his soul wants. In the meantime, he also draws himself away from the acts which yield committing sins such as lying and backbiting. He tries to avoid unnecessary actions. Through this state, man resembles angels because angels do not eat or drink, do not get married, and do not commit sins and do not have souls. However, man has a soul but he controls it; he does not carry out all of its desires. He approaches a state that would surpass angels in terms of spiritual manners. Almighty God is proud of man, who restrains his desires; He shows him to His angels as an example. It shows the degree of fasting man before God. A believer should try to please God in return for His bounties, strive to be more serious in obedience and to live on the path of His creation. Innocent and blessed habitants of Divine realms encompass believers group by group; they bring good news from the world of mercy, greetings from the Sustainer of the universe and hopes of forgivenes. O mankind! An important and blessed month has approached; its shadow has stood over your heads. It is such a month that, The Night of Power, which is better than a thousand months, exists in it. God commanded fasting during its days and legitimated voluntary prayers during its nights. A man who does a small favor in this month acquires the rewards of fulfilling an obligation (fardh) in the other months. Performing an obligation (fardh) in this month is regarded as seventy fold rewards of performing the same obligation in the other months. This is the month of enduring and bearing the hardships of hunger, thirst, praying and worshipping for the sake of Allah. The reward of the patience is Paradise. This is the month of solidarity; this month increases the rizq (sustenance) of believers. In this month, whoever hosts a fast-breaking meal for a fasting believer, this act will result in being forgiven from all his sins and being set free from Hell. He will also acquire rewards as much as that fasting person acquires from his fast without any decrease in the fasting person’s rewards. The first period of this month is mercy, its middle is forgiveness and the last period is being set free from Hell. In this month, Allah forgives and protects from Hell the one who eases his servant’s and employee’s duties. For those bounties, I will inform you about four qualities; in this month, you will please your Lord by means of two of them and you shall never give up doing the other two. One of the characteristics that causes to please your Lord is to continue reciting kalmia shahada, and the other is to ask forgiveness from Allah. One of the characteristics that you shall never give up is to ask Allah to send you to Paradise; the other is to take refuge in Allah from Hell. We start to have a season full of light and prosperity with the first day of Ramadan. The universe cheers up; the earth is filled with a luminous air coming from Paradise. Innocent and blessed habitants of Divine realms encompass believers group by group; they bring good news from the world of mercy, greetings from the Sustainer of the universe and hopes of forgiveness. Jinn, angels, even trees, flowers, insects, wolfs, birds, earth and seas celebrate with men, the month of Ramadan, which is the anniversary of the revelation of the Holy book. A festival atmosphere is felt both in visible and in invisible worlds. This month has an exceptional place before God Almighty. Our Lord reserves for this month the most extensive manifestations of his limitless mercy for his servants whom He chose to address, to this month. Besides, since all of the Holy books, particularly the Quran was revealed in this month, the value and the holiness of these days increase. Believers regard these days which are Divine bounties as good chances and so they try to benefit from them. They show the level of their obedience to their Sustainer. They try to pray and worship as much as they can do with an absolute sincerity and consciousness by endeavoring to be addressed by Him. Certainly, these efforts will not be unreturned. The ones who fast and spent this month in the consciousness of obedience will acquire many bounties in addition to living a peaceful period and reaching tranquility. When the first night of the month of Ramadan comes, devils and rebellious jinn are fastened by chains. The gates of Hell are closed; none of its doors is kept open. As for the gates of Paradise, they are opened widely and none of them is kept closed. O the ones who are eager to do favors, do good deeds! O the ones who desire evil, control yourselves! When the month of Ramadan comes, we, virtually, see that the devils are enchained. People turn towards worshipping more than ever. They fast, recite the Quran and mosques are filled with believers. Everyone starts to feel the excitement of Ramadan. Numerous people who could not constrain themselves from sins repent and turn towards their Sustainer. They take refuge in His mercy. Hotbed of sins and similar places lose their customers and some of them go bankrupt. All of them show that the activities of devils have decreased. They cannot seduce people as much as before; they cannot shoot arrows of doubt into the believers’ hearts. It means that they are enchained immaterially. Therefore, when people turn towards the mercy of Allah in this way, there is no need for the gates of Hell to be opened. Now, the gates of forgiveness and mercy are open. Because of the increase of activities, deeds, prayers concerning Paradise, lights are started to be sent from this transitory world to the real world and that is why the gates of Paradise are opened widely without being closed. Verily, the month of Ramadan is the month of my community. Some of them get sick and others visit them. Ramadan is the month of prayer.Prayers said in holy nights, in the appointed Three Months, and especially in Ramadan are close to acceptance. As for the time of eating after fasting, it is the time when man gets closer to Allah, and when s/he feels the joy of having fulfilled His command. Then the believer is cleansed of his/her faults and blemishes and feels a strong attachment to Allah. Just at that time, if man prays to his/her Lord, s/he will not be left unanswered. S/he will either get what s/he wishes in the world and thus receive the reward of the prayer in advance, or send a light to his/her hereafter and eternal life in a better way. This is because Allah knows better what His slave needs, and accepts his/her prayers in the way that is good for him/her. Ramadan is a season when Allah is remembered often and prayers are said in abundance. Believers who fast throughout Ramadan pass their nights and days remembering Allah. They remember Allah both with their behaviors and actions and with their mouths and tongues; and they rest their hearts and souls. They also open their hands and hearts to their Lord in order to ask both their needs in the world and their expectations about the hereafter. They know that this month is a peaceful month in which wishes are fulfilled, needs are cared for and expectations are answered. At the same time, they try to carry out different types of remembrance at different times and places. A believer who becomes like an angel in this month by fasting is cleansed of his/her sins which are spiritual dirts and also tries to deserve Allah's acceptance/pleasure, by reciting the words of greatness (Allah is the greatest), words of oneness (There is no god but Allah), words of thankfulness, prayers for the Prophet, words of exaltedness of Allah, and words of repentance. When the time for breaking fast came (iftar), Prophet Muhammad, peace and blessings be upon him, would never delay his iftar, would break his fast quickly. Among my servants, the ones I love most are those who break their fast quickly. When you hear the adhan (call to the prayer, also means that the fast ends), if you have a glass of water in your hand, do not put it down before drinking it and thus breaking your fast. These hadiths recommend that in Ramadan, once the evening adhan is issued, one should make iftar, i.e. should break one’s fast. The thirst gone, the arteries dampened; the reward has become definite, Allah willing. O my Allah, forgive me for the sake of your rahmat (mercy) which encompasses the whole universe and forgive me my sins. The first:When the first night of the month Ramadan comes, Almighty Allah gazes at them with His mercy. When Allah gazes someone with His mercy, He does not punish him, ever. The second: The smell from the mouth of a fasting person is sweeter to Allah than the fragrance of musk. The third: Each day and night, the angels beg forgiveness from Allah for the people who fast. The fifth: When the last day of Ramadan comes, Allah forgives all His servants that have fasted. 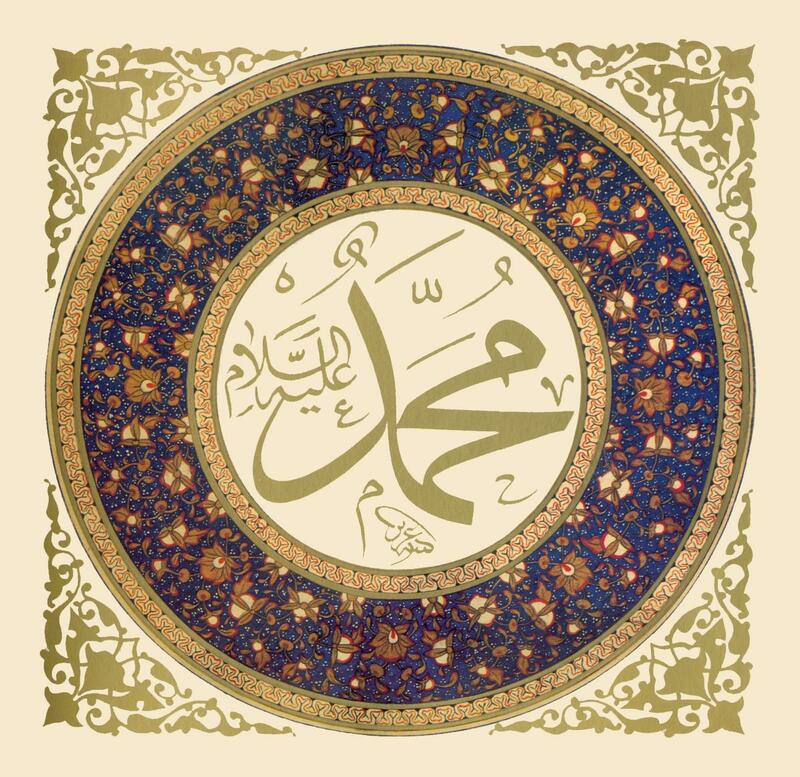 One day I heard from the Noble Prophet (peaces and blessings be upon him). The Qur'an praises the Night of Power. It informs us that the Night of Power is better than a thousand months (which do not include that night). So, the believer who passes that night with ibadah and makes a good profit out of it acquires as much reward as if s/he passed a thousand months with ibadah. In other words, s/he finds the opportunity to earn the thawab (reward for good deeds that is tallied on qiyamah/judgment day) only at one night, which, otherwise, s/he could earn in such a long life as 80 years. According to a narration by Abdullah Ibn-i Umar, may Allah be pleased with them both, Prophet Muhammad (PBUH) said: “Whoever wants to search for the Night of Power, let him/her search at the 27th night.” (Musnad, 2:27), he thus advised us to pass the 27th night awake with ibadah and dhikr (remembrance of Allah). Zakat is not given only out of property. Every blessing that Allah grants has zakat of its own kind. The zakat of knowledge is to teach what one knows to others; that of life is to perform the obligatory prayers; that of property is to use it in a good way (and to pay a certain percentage out of it to charity every year: zakat), and that of the body is to fast. The fasting person understands that neither his/her body nor the blessings s/he has belongs to him/her and that s/he cannot eat and drink whenever s/he wishes. S/he understands by fasting that those blessings are given to him/her as a trust and realizes who the Real Owner is. S/he cannot eat and drink without His permission. Thus, s/he offers thanks to The Real Bestower, who is the real owner. S/he knows that blessings come directly from Him. The fasting person tries to offer thanks for the blessing of the body with its zakat, fasting. As a matter of fact, zakat is a kind of offering thanks. And fasting is “the key to a sincere, great and universal thanks-offering.” Thanks to fasting, the believer finds the opportunity to think about the value of the blessings which are obviously bestowed on him/her. Another meaning of zakat is cleanliness/purification. Just as the zakat given out of property causes it to be cleaned, to increase and to become fruitful; so too is the fast a means to cleanse the body materially and spiritually and a means to increase good health and blessings. property of dirt and of sins, so too does the fasting person purify his/her body from sins. S/he acquires a pure body and spirit. Getting up for suhur is a means of two kinds of abundance. The first is that the person having suhur meal has fewer difficulties in fasting in the daytime and he becomes more resistant against fasting. In this way, Almighty Allah grants abundance and plenitude to his sustenance, to the meal he has eaten. The other one is that a person standing awake during the dawn finds an opportunity for worship, prayer and dhikr (remembrance of Allah) because if he cannot get up for suhur, he will spend those blessed times by sleeping and as a result his spiritual share will be less. The encouragement in the hadith is important in terms of providing those two points. Besides, the Noble Prophet (peace and blessings be upon him) used to be quick in having iftar meal (breaking of fast) but he used to make meal of suhur late. He used to wait till the time close to imsak (start of the fasting time) and he used to eat and drink then. Because, the later the meal is eaten, the later one gets hungry, and he becomes more prepared for fasting. As it is expressed clearly in the verse, Jews and Christians also used to fast in the beginning. However, as they modified other worships such as salat (prescribed prayers) and zakat (alms), they also modified the time of fasting and its way of performing. There was only one difference between the fasting they used to perform in the beginning and our fasting. That was suhur. In that hadith, it is stated how much time later after having the suhur meal and calling of adhan for the morning prayer, the morning prayer can be performed. That practice of the Prophet and his Companions is a practice that can be performed easily by everyone. The Noble Companions also inform us how they behave between suhur and morning prayer, what they do when time for suhur becomes short and how they get prepared for salat. The Prophet advised his ummah (community) ease in every subject, he did not put pressure on them and he attracted their attention to overcome hunger although a little time was left for the preparation for fasting. The information in those narrations should be mainly related with the adhans Bilal used to call since he used to call the adhans for morning prayers before its time. For this reason, in the places where adhan is called just on the time of imsak (start of the fasting time), one should begin fasting as soon as adhan is called.